Download the Android or iOS App and get up to 60 GBP bonus for new customers! If you are familiar with the VCBet brand, then you will know that BetVictor isn’t exactly new to the sports betting arena. BetVictor is simply Victor Chandler’s new brand, which means the experience in the market extends back decades. With more than 500,000 customers throughout 160 countries, this has become a very powerful sportsbook. There’s also a BetVictor app that gives sports bettors access to their accounts from practically anywhere with an internet connection. Combine this with the fact you can receive 60 GBP free just for betting 10 GBP and you just might want to give this sportsbook a chance. Mobile users don’t have access to a specific promo code but can take advantage of the same welcome offer as computer users. This is good news since the app isn’t available for all mobile operating systems. This means that, if you can’t download the app for your device, you can access the site through your mobile browser and take advantage of the welcome bonus. Something else to note is that, while BetVictor states on their mobile app page that there is an Android app, there is no direct link to an Android application. There isn’t a direct link to the iOS app either, but you can easily find it by searching “BetVictor Sports” in the iTunes store. The absence of the Android app may have to do with Google Play restrictions on sports betting apps. The app will allow you to cash out, find your perfect horse, and stream horse races. It’s a way to have more control of your account no matter where you are in the world. All you need is an internet connection. If you are traveling in a country that doesn’t allow sports betting, you may have difficulty accessing the site through your mobile browser. Nonetheless, BetVictor is present in 160 countries, so difficulty is rare. After you open your account, you can opt-in to take the new customer offer. You must make a deposit using a method other than Skrill, Neteller, or PaySafe. There are also country restrictions. Those living in Thailand, Mexico, Nepal, Serbia, South Africa, Slovenia, Serbia, Nepal, Montenegro, India, Macedonia, Georgia, Bosnia and Herzegovina, Azerbaijan, and Argentina aren’t eligible for the promotion. After you have placed your first bet of 10 GBP on an event with odds of 2.0 or greater within 7 days of opening your account, you receive a total of six 10 GBP free bets. You receive one 10 GBP free bet for each of the following: any event, in-play, 3 folds or greater, 5 folds or greater, virtual sports, and the casino. This is an opportunity for you to try multiple bet types for free. There are no wagering requirements for sports bets, but the casino bet must be wagered 40 times before any winnings can be withdrawn. In other words, you must wager 400 GBP before any winnings can be cashed out. To ensure you download the app, take advantage of the mobile site, and receive the full bonus, there are steps that you can follow. Below is a step-by-step guide to help you throughout the process. You can sign up before or after you download the app. Simply click the “Sign Up” button and provide all the requested information. You will provide personal details, desired account information, opt into the welcome offer, and certify that you are over 18 years of age. You will then be taken to the deposit screen. To download the app, you can search “BetVictor Sports” in iTunes. Once on the page, click the “Get” button to download the app. You must make your first deposit to qualify for the bonus bets. Deposit at least 10 GBP to get started. You can make your deposit with accepted methods other than Skrill, Neteller, and PaySafe to qualify for the bonus. You must also live in an eligible country. UK residents are eligible. Place an initial bet of 10 GBP or more on an event with odds of 2.00 or greater and receive 60 GBP in free bets. The free bets will be credited as six separate 10 GBP bets that must be used in the following manner: any event, in-play only, 3 folds or greater, 5 folds or greater, virtual sports, and casino. You have 7 days to activate the bonus after opening your account. The sports bets have no wagering requirements, but the casino bet must be wagered 40 times before you can cash out any winnings. The sports bets themselves are simply stakes and can’t be cashed out, but the winnings can be withdrawn. When placing bets, each 10 GBP amount must be placed as a whole bet and can’t be broken up into multiple bets. In addition to the welcome offer, there are offers for existing customers. Once you have used your new customer offer, you can take advantage of the other offers on the BetVictor site. There’s Acca insurance, cash refunds on horse races if your horse loses all chances at the beginning of a race, best odds guaranteed if the Board or Early price is taken. There are opportunities to enhance winnings, recover on losses, and bet with extra cash. To receive the offer, you must make your deposit with a method other than Skrill, Neteller, and PaySafe. The other accepted methods of payment include Visa, MasterCard, and EntroPay credit cards; Delta, Solo, Switch, Electron, and Visa debit cards; and BACS (the UK only), PayPal, and international bank transfer. You must make a deposit of at least 5 GBP using these methods and there are no fees to make deposits. Other than a bank transfer, your money is immediately available. The same methods can be used for withdrawals. How long a withdrawal takes depends on the method. For instance, a bank transfer can take up to 5 working days. Reliable or Scam: How Safe is the BetVictor App? 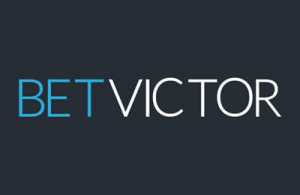 BetVictor’s parent company has been around since 1946, making it one of the oldest European bookmakers. More than half a million customers in 160 countries trust the brand and its experience. This experience shines through with its clean platform, an app that is solid and has a rating of 4.4 out of 5 in the iTunes App Store, and some great offers. Plus, the Gibraltar-based BetVictor is licensed by the Gibraltar Gambling Commissioner and the UK Gambling Commission. The licensing requirements are strict, such as making sure that individuals under the age of 18 don’t register for accounts and start gambling. Another requirement is providing resources that help those who may suffer from gambling addiction. Players can learn how to prevent addiction and what they can do if they find they are suffering from it. All in all, the BetVictor app is a great tool for you to use when you’re on the go. You can also effectively use the website with your mobile browser if you aren’t using an iOS device. You want to have full access to your account so you can effectively use the free 60 GBP that you will receive after making your initial 10 GBP bet on an event with odds of 2.00 or greater. The welcome offer is very generous and highly competitive compared to other bookmakers, which shows how confident BetVictor is about its product. The company should be confident since it has been in business for more than 70 years. How do I get the BetVictor App? You can go to the iTunes store and search “BetVictor Sports” to find the app for your iOS device. You won’t find an app for Android, despite the Android logo being present on BetVictor’s app page. There’s evidence that there was an Android app, but it is nowhere to be found online or in the Google Play app store. Do I need a BetVictor promo code? No. The bonus is applied to your account after you make the initial bet of 10 GBP on an event with odds of 2.00 or greater. You can opt-in to the offer during the registration process. If it will make you more secure about receiving the offer, you can click the “Create Your Account” button on the offer page. Is there a mobile BetVictor promo code? There isn’t a specific promo code for mobile. Mobile users can use the same promotion as customers using their computers to access the website.